Uterine fibroids are extremely common… 30% of women in their 30s, 40s, and 50s have them. Fibroids develop from a single muscle cell in the wall of the uterus. This cell multiplies and grows forming a hard ball of collagen that can be as tiny as a pea, or as big as a cantaloupe. While doctors understand there needs to be an event that causes that very first muscle cell to divide, the exact cause is unknown. What is known, is that hormonal factors appear to play a role in their growth. Learn about herbs that have traditionally been used to support the body in maintaining a healthy environment within the uterus by promoting hormonal balance. 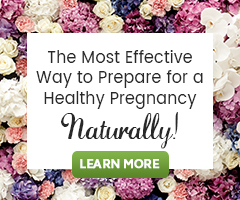 How Can I Heal Uterine Fibroids and Have a Healthy Pregnancy? You made this site is awesome and giving us such a great information on this category.I am very impressed by your site and your posts they amazing. Thanks for sharing the best posts they very useful and very help us.